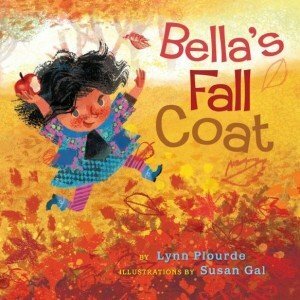 Last year I assembled this massive booklist of children’s books about autumn sorted by theme– Autumn Equinox, apples, changing leaves, harvest season, pumpkins, scarecrows, and the list goes on. 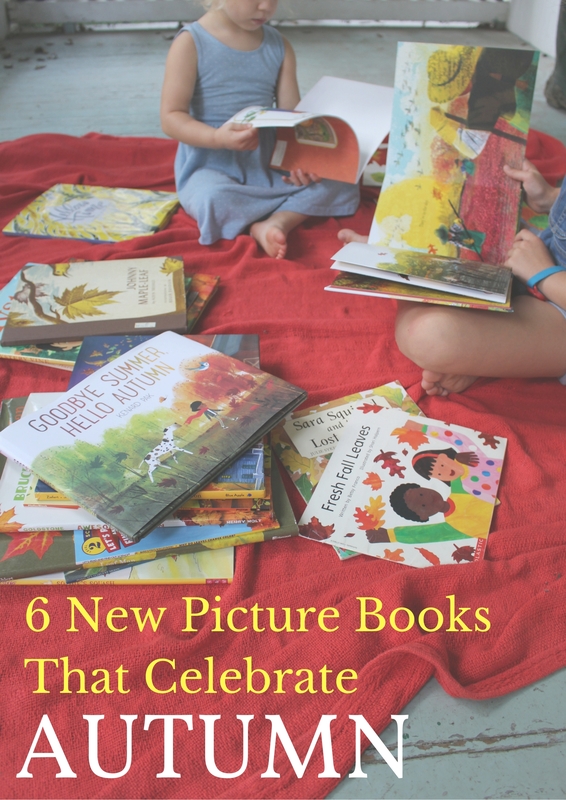 This year, a handful of noteworthy picture books were released about the autumnal season that are too good not to add onto the list of favorite fall-time reads. A followup to Abracadabra, It’s Spring, this charming, colorful book includes fold-out pages revealing the magical transformations that take place from summer to autumn. The colors in this book will make you sigh, “Ooohhh… Ahhhhhh!”, as if seeing a magician performing mystifying tricks. This book could not have been released at a more opportune time for us here in Kansas. September is indeed a ‘yellow time’ of the year with the golden tallgrass, variety of wild, sky-reaching sunflowers, and goldenrod ablaze in the quickly dimming daylight hours. 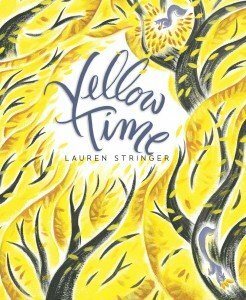 A lyrical and vibrant story about the time that comes only once a year when the world seems to glow yellow. 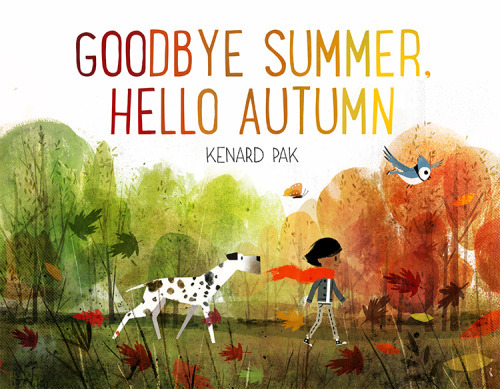 A debut book as both author and illustrator, Kenard Pak walks us through the transition from late summer to the beginning of the autumn season in this factual, stunning read aloud. Full book review + goodbye summer nature activity can be found here! Fall can be described in many ways, some of which Michael Hall has cleverly discovered end in “fall”. 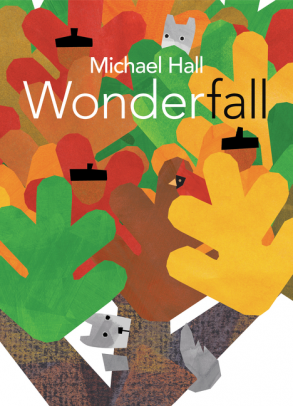 “Peacefall”, “Plentifall”, “Beautifall”, this picture book in verse featuring a tree, two squirrels and many ways to explore word blending and the wonder of fall. This book is a must-read for elementary school teachers. Little frog loves the color green. Her whole summertime life since she’s been alive has been green, green, green. 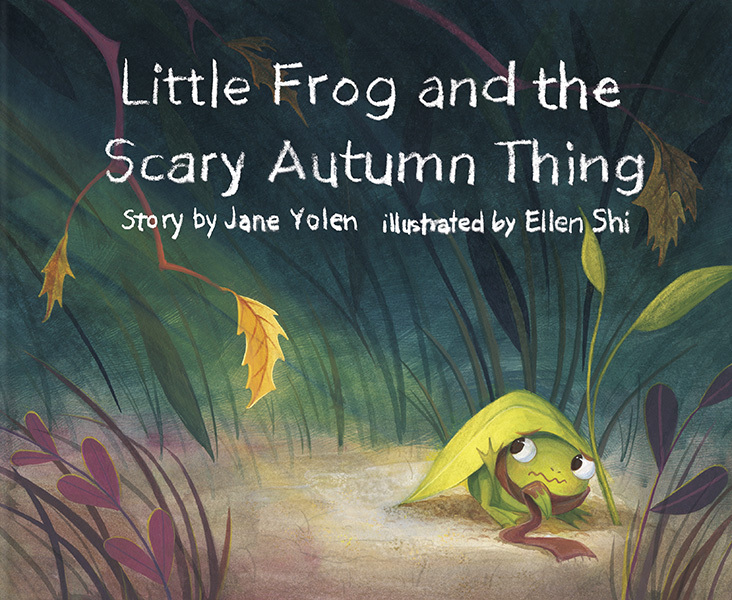 When the colors start changing with the transition of seasons, Little Frog becomes quite afraid when his beloved green starts to change into unfamiliar colors. Mother Frog tries to calm Little Frog by telling her, “Most things that are scary are only just new”. Little Frog braves exploring the changing environment, embracing the change when finding comfort in the familiar. A great read for kids who have a hard time with transitions. Do these illustrations look familiar? 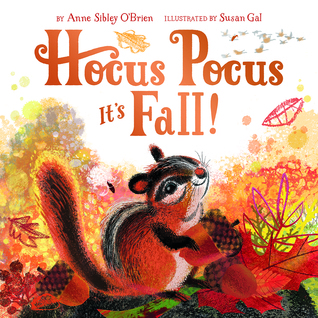 Susan Gal is the same illustrator of Hocus Pocus, It’s Fall! 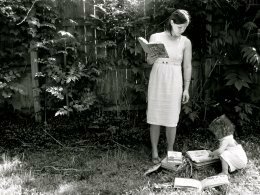 (see above)– She’s had a busy book release season this autumn! Bella loves her too-small coat and wants to keep wearing it forever, but she quickly learns that just like the autumn season change is inevitable. As we approach the days of changing out warm weather wardrobes for cool weather clothing, many children will find themselves in a similar predicament. Another fantastic book about coping and learning from change!